Stylish coat in trenchcoat style from TIGER OF SWEDEN. 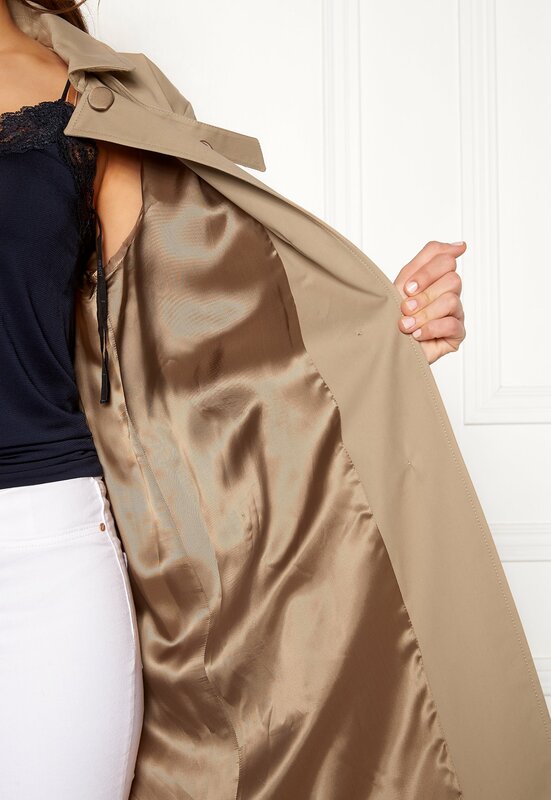 The coat has a concealed front closure and tie waist. - Nonstretch, woven quality - Tie waist (detachable) - Lined - Two buttoned front pockets - Decorative tie wrists - Collar and detachable tie neck - Decorative details at shoulders Back length from shoulder 155 cm in size 36. The model is 178 cm tall and wears a size 36. Dry clean only.